This was written by admin. 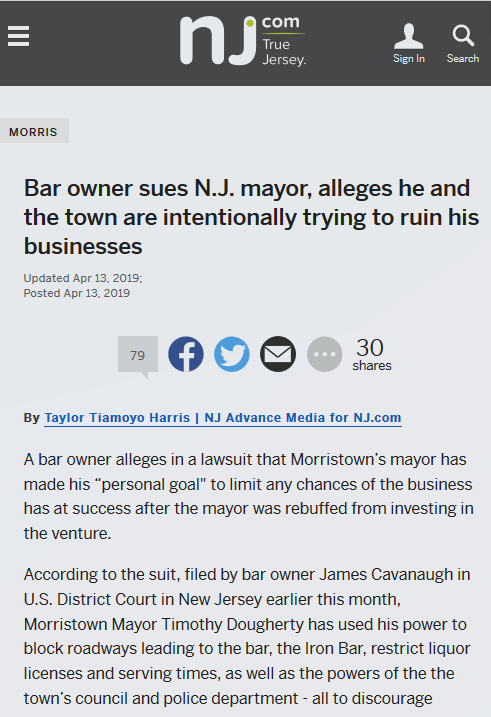 Posted on Monday, April 15, 2019, at 11:35 am. Filed under Uncategorized. Bookmark the permalink. Follow comments here with the RSS feed. Post a comment or leave a trackback. Wow…unbelievable when people think they have the power to do this. I’m glad to see people fight back. It’s not right. And they should go to jail! Unfortunately, they get away with it and the taxpayers suffer. This is EXACTLY what’s happening at the Boathouse and Sslt. And the taxpayers will be paying dearly for the doings of DOHERTY and Connolly. You got that right, #2. Wake the town and tell the people. Dont forget about the acting phony chief Hiseman. Hes involved in this up to his eyeballs and continues to harass the plaintiffs. Think about how much money he has cost the taxpayers with his mismanagement of police salaries including his own. Theft! Not including the many lawsuits he has cost us. Please, Mayor Walsifer, get rid of him! Anyone out there know whether any type of settlement of the Lawsuit from the Harmons could be forced to go to a referendum? Or does the mayor have the only say?